The post-EHR era is well and truly here, but EHR-centric challenges are still as thorny as ever. The concept of a "post-EHR" era is one that's been explored – on this website, at least – since the beginning of 2014, if not earlier. 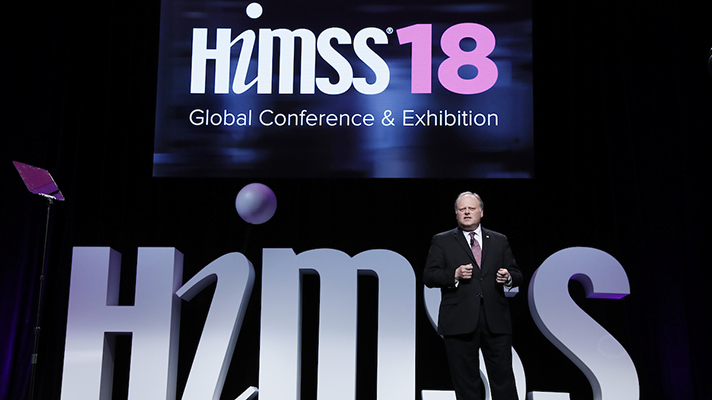 Four years later, an action-packed week spent at HIMSS18 offers irrefutable proof that the idea is now reality. At this writer's first HIMSS conference, more than eight years ago, EHR technology was still sufficiently novel that HIMSS10 featured something called the "Electronic Health Record/Electronic Medical Record Pavilion and Theatre," where curious attendees could learn about this newfangled way of storing patient data, one that wasn't made of bleached wood pulp. At HIMSS18? There was the day-long Machine Learning & AI for Healthcare event and the Blockchain Forum, HIMSS VentureConnect and Rockstars of Emerging Healthcare Technology. The Innovation Live showcase in Hall G was populated with leading-edge companies touting AI, augmented reality, biometrics, IoT and much more. And far from theoretical, many of those technologies are already on the minds of leading CIOs. Clearly, we've come a long way in less than a decade. EHRs are old hat, a basic necessity for so much of the advanced work that's been accomplished in recent years. But a lot of problems that have been around for just as long have still yet to be solved. To the surprise of precisely no one, interoperability remains the biggest. Yes, the HIMSS Interoperability Showcase offered a heartening object lesson in the advances made in data exchange, with real-world use cases focused on organ transplants, cardiac events and medication management to help fight the opioid crisis. CMS Administrator Seema Verma said it was "not acceptable to limit patient records or prevent them from seeing their complete history." Indeed, her office aims to put patients at the center of its interoperability plans, pushing patient-mediated exchange efforts such as MyHealthEData and Blue Button 2.0. Verma appeared at HIMSS18 alongside a surprise guest, White House Senior Advisor Jared Kushner. He put out a similarly strong-voiced (if vaguely detailed) call to finally "make interoperability a reality for all Americans." The Trump Administration is enamored of deregulation, of course, and ONC seems ready to take that approach when working to address another longstanding challenge for health IT: clinician burden and other complexities related to stringent documentation requirements and suboptimally designed EHR systems. "We feel that we need fewer regulations, rather than more," said ONC's John Fleming, MD, deputy assistant secretary for health technology reform. That may well partly be the answer after years of tightly-formulated rules related to EHR certification, meaningful use, quality reporting and other assorted box-checking and hoop-jumping for providers and vendors alike. Another way is to tap into more of the buzzy energy that was palpable everywhere in Las Vegas, from the tiniest corners of Hall G to the city-block-sized booths in the main exhibit hall. There were nearly 45,000 very smart and passionate people at the Venetian-Sands this past week, and many of them have some pretty good ideas that could help nudge these issues forward. Even sprawling federal agencies like the VA are ready to leverage more innovative expertise. The agency has hit pause on its massive Cerner EHR modernization to help sort out some of the technical impediments to interoperability with the DoD and community health centers – and at the same time it's also looking for help from any number of private sector coders. Meanwhile, it was clear that things need to improve in other areas too. At the newly-renamed Patient Engagement and Experience Summit, for instance, Adrienne Boissy made the case that empathy and intuitive design must be brought to bear on healthcare settings. Already, some of the biggest and most successful companies in the world are working in earnest to start bringing their own talents to the healthcare space, and there's plenty that can be learned from the revolutionary products they've proliferated. "The Amazons and Apples of the world have mastered service, and they are coming for us," said Boissy, chief experience officer at Cleveland Clinic Health System. "We need to dream bigger." In interviews with an array of health system execs and vendors on the show floor, it was apparent that healthcare organizations – the smart ones, at least – agree. They're more convinced than ever that the smartphones have become our appendages, the online UX we take for granted has caused a sea change in what healthcare consumers have come to expect, and that a competitive landscape demands that they take patient and clinician experience much more seriously. In the meantime, even as those big challenges continue to get sorted out, there was no shortage of hugely exciting innovation on view in Las Vegas – even if there was also more than a little hype. Blockchain showed itself to already be having an impact on real-world use cases. There were precision medicine advances touted by Google, Oracle, Microsoft and others. Artificial intelligence applications – existing and predicted – were everywhere, from fetal monitoring and enterprise imaging to heart disease and clinical trials. Keynoter Eric Schmidt, former executive chairman and current technical advisor to Google parent company Alphabet, set an appropriately optimistic tone to kick off the week. While "EHRs are an incredibly important breakthrough in getting data in place," he said, a combination of cloud infrastructure, deep neural networks and an "explosion of data" mean healthcare is "closer than many think we are" to a fundamental transformation.